We all know about the unique process of handcrafting Four Roses Bourbon, but have you ever taken the time to think about the process behind our unique packaging? 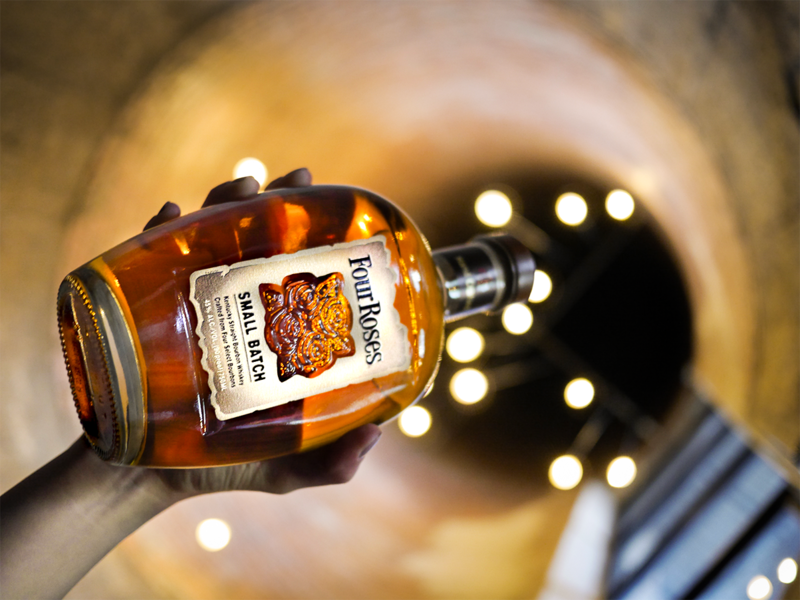 Our very mellow Small Batch Bourbon comes in a bottle that boasts an interesting story. 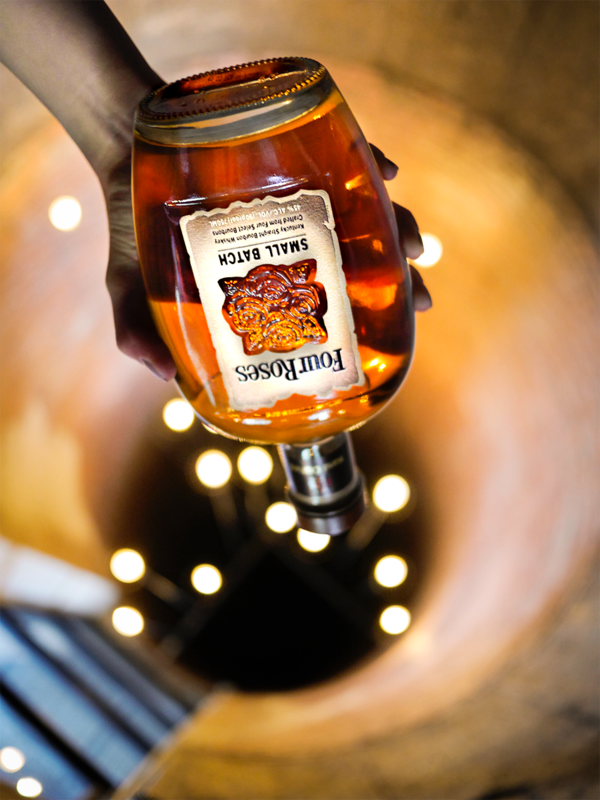 Go ahead, grab a bottle, (pour yourself a glass) and turn it upside down. What you do see? The Small Batch bottle has been created in the shape of a rosebud when turned upside down. In past, and more recent years, improved quality and a new way of looking at Bourbon has fueled a growth in sales. And our use of marketing and branding over the years has played a key role in this improved quality. In 2006, the Small Batch Bourbon was born and in partnership with our Louisville, Ky. based advertising agency, we got right to work on the packaging that would hold this perfectly balanced Bourbon. For more than a year, we spent time developing concepts for the Small Batch bottle design. With less than 10 original designs, we took the opinions from focus groups and you, the Mellow Moments Club, to narrow it down. Our current bottle design was the overall favorite, featuring rounded edges that differed from the square-shaped Single Barrel bottle. And of course, when turned upside down, the rosebud shape propelled this design to stand out above the rest—but we weren’t finished. There was one more step we took to increase the elegance of the beautiful bottle, and that was in the label design. Unlike our Single Barrel and Four Roses Bourbon, the Small Batch features a cut glass rose in the center of the label. So, next time you enjoy our Small Batch Bourbon, remember this story and empress your guests. Cheers!